Hundreds of supporters of jailed Royal Marine Alexander Blackman will rally outside Parliament today in a fresh attempt to shame the government into freeing the jailed war hero. Ministry of Defence Jobsworths have banned serving military personnel from attending the show of solidarity for Sergeant Blackman, who has just passed his third anniversary behind bars. His bid for freedom has been held up by a series of bureaucratic delays at the Criminal Cases Review Commission, which has the power to order a fresh appeal. 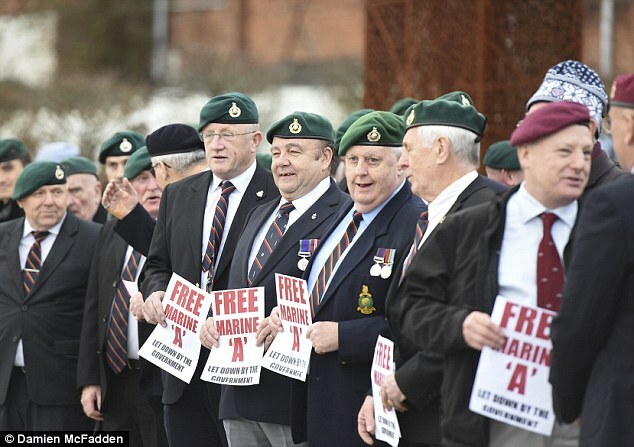 Today hundreds of retired Marines – forming a ‘sea of green’ berets – and other former soldiers and members of the public will gather for a peaceful demonstration in Parliament Square starting at 11.30am. Known as ‘Marine A’ at his court martial, Sgt Blackman was jailed for life for killing a Taliban insurgent in Afghanistan in 2011. He was jailed in 2013, and has now spent more than three years in prison. Daily Mail readers have raised money to fund a new legal team to mount a fresh appeal. 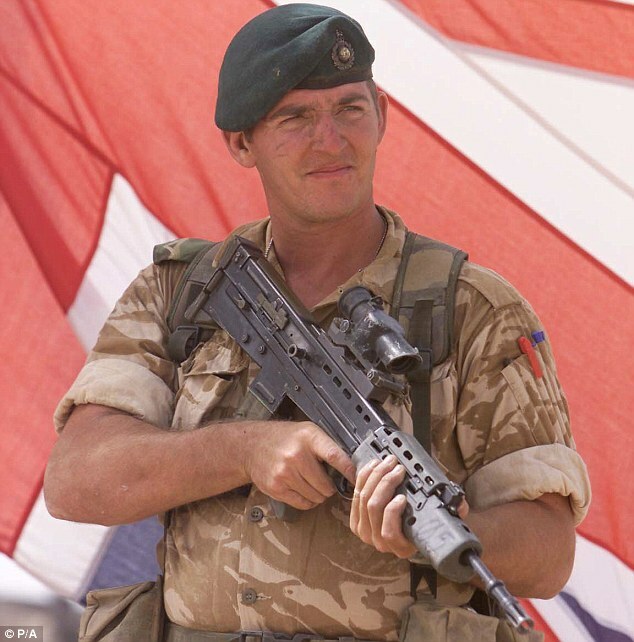 Ten months ago, Sgt Blackman’s family submitted an application to the Criminal Cases Review Commission (CCRC) to have his case reviewed. A comprehensive report delivered by Blackman’s legal team, headed by Jonathan Goldberg QC, set out eight significant arguments in support of a case review by the Appeal Court. They include the fact that his troop had suffered six months on the ‘tour from hell’ under-manned, under-resourced and under daily Taliban assault, before Sgt Blackman snapped. His lawyers argue there was significant ‘combat stress’ which could support his conviction being commuted from murder to manslaughter. The case has been dogged with delays, despite the CCRC giving it top priority. As they await the decision, his army of supporters has organised a ‘show of support’ in Parliament Square to let him know that he has not been forgotten and to call on the CCRC to hurry things up. Tory MP Richard Drax said: ‘We meet again in Parliament Square to stand by former Royal Marine Al Blackman and of course his wife Claire. ‘While I am delighted that his case is being treated as a top priority by the Criminal Cases Review Commission, it does appear to be taking an inordinate amount of time to conclude. Serving personnel have been ordered not to attend the show of support on the utterly bogus grounds that it is ‘political’. But former members of the Royal Marines’ Band will entertain those gathered in Parliament Square and former servicemen and women will ride past in a motorcycle salute. At 11.30am, former Drill Leader Bob Sturtivant will ‘form up’ the parade. Short speeches will be delivered at 12pm by supporters of the campaign for justice. They include Major General Malcolm Hunt OBE, former Commander of 40 Commando Royal Marines in the Falkland Islands, who said: ‘The denial of justice to Al Blackman has gone on for far too long. Major General John Holmes, former Director of UK Special Forces, added: ‘I am honoured to be back in Parliament Square supporting Al Blackman. Major General Julian Thompson, former Commander of 3 Commando Brigade during the Falklands War, is unable to attend the event as he is recovering from an operation. But he said in a message: ‘I want to publicly declare my support for Al Blackman and his legal team in the effort to present his case to the Criminal Cases Review Commission.